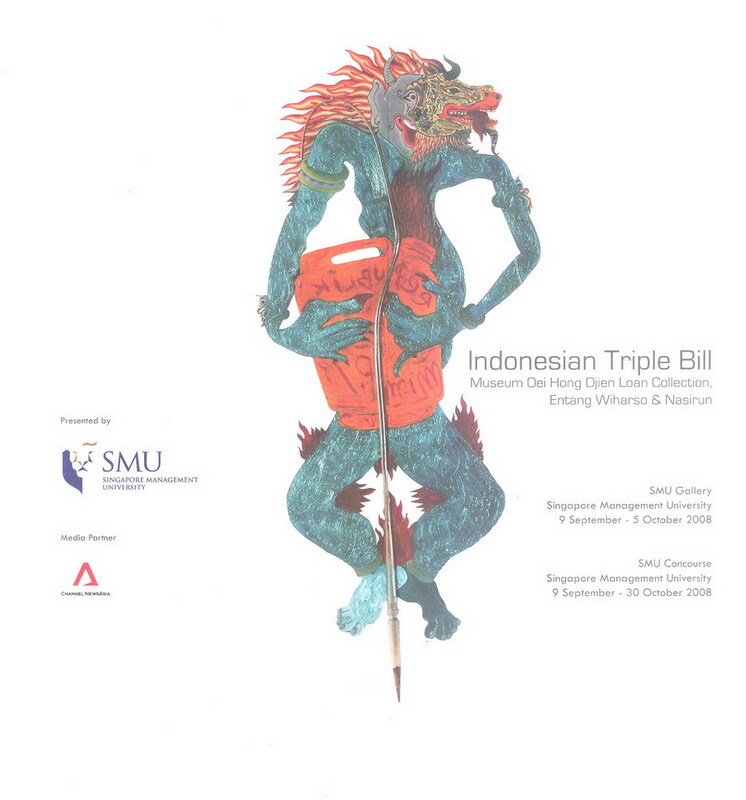 An exhibition of Indonesian works of art being presented to the University as part of a five-year loan by Dr Oei Hong Djien was opened at the SMU Gallery and SMU Concourse on 8 September 2008 by Guest of Honour Mr Ho Kwon Ping, Chairman of the SMU Board of Trustees. Titled Indonesian Triple Bill, the exhibition was comprised of the loan collection—Out of Megalang: Museum Oei Hong Djien Loan Collection—and separate installations of work by internationally-recognised Indonesian artists Entang Wiharso and Nasirun. The exhibition was curated with the aim of sharing the significant loan collection with the campus body and SMU’s neighbouring community, and to engage the University in artistic and cultural discourses. As part of the exhibition programme, the Wee Kim Wee Centre hosted a lunchtime talk on 24 September presented by artist Entang Wiharso, Indonesian Triple Bill exhibition curator Joanna Lee and Practice Assistant Professor Margaret Chan. Ms Lee gave an historical overview of the Yogyakarta School and how it formed the criteria for the selection of artworks from Museum Oei Hong Djien. She also explained the content of the paintings and installations chosen for Entang and Nasirun’s exhibitions I am Black Goat and Wayang Zaman, Shadows of the Contemporary, with specific emphasis on how Entang used metonymic associations with “black sheep” and “scapegoat” to discuss how he acknowledges and deals with his identity of being an Indonesian artist living and working in Indonesian and the USA. 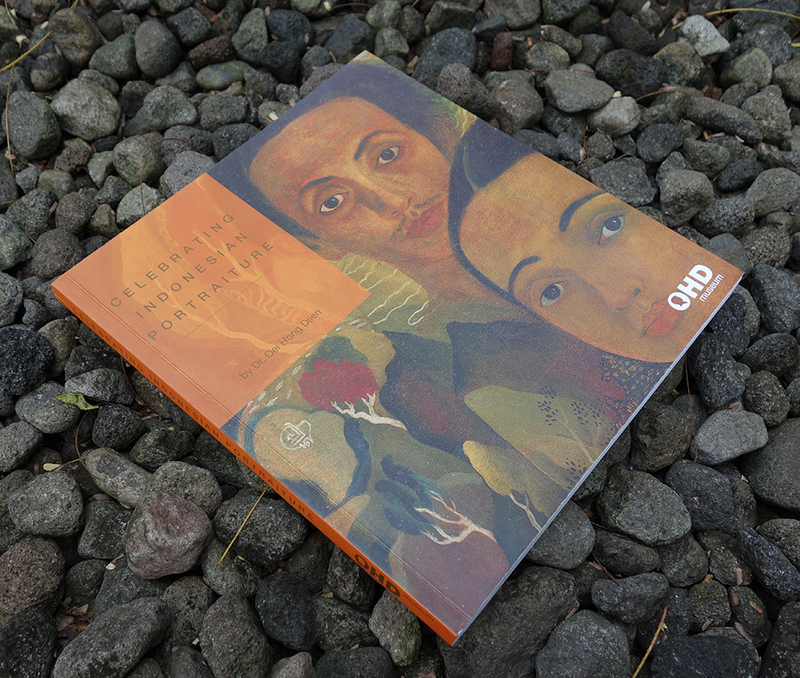 Accompanied by a comprehensive catalogue, the Museum Oei Hong Djien Loan Collection will be on permanent display in the School of Social Sciences until 2013. Nasirun’s painting Chair of the Punakawan (2008) and Entang’s cut aluminium installation, The Story of Super Hero and Black Goat II (2008) were generously donated to SMU by the artists and have been incorporated into the University’s permanent art collection.